Liverpool's win on Sunday kept the title a two horse race, with pundits earmarking pivotal fixtures ahead of the end of the season. 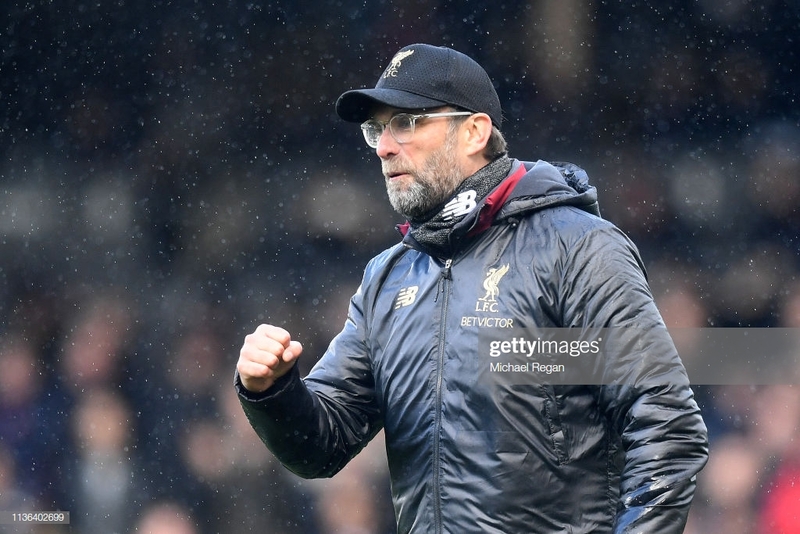 Liverpool’s narrow 2-1 win against Fulham on Sunday afternoon ensured the Premier League title race remains completely alive with only a handful of games to go. The Reds returned to the top of the table with three points following a first-half strike from Sadio Mane and a late James Milner penalty while Manchester City have a game in hand after a weekend of FA Cup action in which they bagged their place in the semi-finals. While Pep Guardiola’s side still retain the power, knowing that a win in each of their remaining games will see them crowned Champions, Liverpool will have gained confidence from a swift return to the No.1 spot. A second game in hand will arise on the weekend of April 6th when they travel down to Southampton, putting the pressure back on City to deliver at every time of asking. As a result, many pundits have been quick to analyse the remaining fixtures for both sides in order to determine possible pitfalls. On paper, it is Manchester City who have the harder of the run-ins, with other games in the FA Cup likely to also play a part. Jamie Redknapp has suggested that the Manchester derby will determine the outcome of the title race, with the clash on April 20 set to be pivotal to both teams. Ole Gunnar Solskjaer’s side are in the thick of a battle for a top-four spot with their recent exit in the FA Cup only increasing the need to finish strong in the league. Thus, defeat could potentially give them the final nail in the coffin as a barrier to achieving such a goal or offer them a huge boost in pipping Arsenal to the finish line.